This initial update contained mainly bug fixes for any issues submitted by our users after launch, however this release does include the addition of new Slide In Menu options. Slide In Sidebar Settings - To begin using the slide in sidebar area, head to Appearance > Customize > Header Settings > Slide In Sidebar Settings. Here you will find options to enable the area's buttons etc. You will also find a new menu area available under Appearance > Menus and a new Widget area under Appearance > Widgets if you wish to add even more content to the Slide In Sidebar. This this release we have added many new features and tweaks, here will be outline any new functionality added. To utilise this class, simply use the image editing icon provided by WP and within the image editing area, enter 'extend-width' into the class field like you can see below. Pull Quotes - You can now easily create stylish pull quotes within posts to really highlight important content. Do create one simply highlight the text you wish tto use, and within the Formats dropdown, select one of the Pull Quote options provided. New Blog Type - We have added a very minimal blog feed style which shows a list of your recent items in the form of a list of headlines. This release includes several back-end changes and fixes, as well as several new features based on our wonderful user feedback. 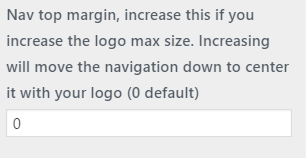 New Navigation Margin Controls - We have added a new option which allows you to increase the spacing above your menu items as you wish. This is useful if your using a large logo and you wish to vertically center the menu for a more clean look. To access this new control, head to Appearance > Customize > Header Settings > Logo Settings where you will see the new option available should you need it. 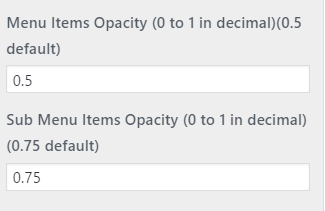 New Controls for Activating Dropdown Menus - You can not control how your menus dropdown sub-menus appear, either the traditional on-click method or display on hover, so you can really tweak the UI to your personal tastes. 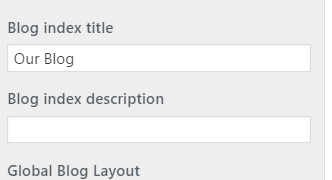 This new setting is located under Appearance > Customize > Site Settings in your WP Dashboard. Variant Logo Carousel Improvements - The Logo Carousel within variant is now a WYSIWYG so you can control the content/links as you wish. Visual Composer Hero Blocks Improvements - The Hero areas within VC now offer additional options for various height to add some variety across your pages. This new option is available in the Hero Image/Video/Gradient/Slider blocks as seen below. New Blog Layouts - You can now choose from an additional two blog layouts (Cards Detailed and Cards Detailed + Sidebar) for even more flexibility for you content! You will find the new layouts available in the theme options as well as within the Visual Composer block/Variant Sections also. New Header/Sub Header Background Colour Options - As of 1.0.4 you can now control the background for your whole nav area with ease. To begin customizing this to your tastes head to Appearance > Customize > Header Settings and you will see the new dropdown available within the Header Layout and Sub-Header Settings areas. New Visual Composer Theme Options - You are now able to disable the themes built in system for switching to a blank template whenever Visual Composer is used in a page (this can be useful if you want to show page titles etc without adding them manually). The new settings can be found under Appearance > Customize > Visual Composer Settings. Tickera Plugin Support - The theme now supports popular event plugin, Tickera which can be found here https://tickera.com/ - great for settings up an events site. New Menu/Sub Menu Opacity Controls - You can now control the level of opacity applied to menu and sub menu for even more control of your header area. To begin head to Appearance > Customize > Advanced Styling Settings > Menu Items and tweak the values as you wish. Pagination Added To Portfolio/Team & Career Archives - By request we have also added pagination to these archive pages to ensure all of your awesome content can be accessed with ease. New Blog Layout Added - On top of all the other layouts, you can now select 'Simple List & Sidebar' as a blog layout for a super sleek and clean blog layout. This can be selected within the Visual Composer blog feed block as well as Variant and under Appearance > Customize > Blog Settings > Blog Archive Settings. Social Icons Added To Top Bar - You can now add your social links to the top bar (above the main menu area) - to begin simply head to Appearance > Customize > Header Settings > Header Social Settings and add your profiles as you wish. Visual Composer - New Modal/Notification Settings - Modal blocks can now have the trigger button disabled which is ideal if your not using a manually triggered modal. Variant - New Careers Section Added - You will now find a new Careers block which can be used to display your careers in any page - this block also includes an option to display a particular category only also. 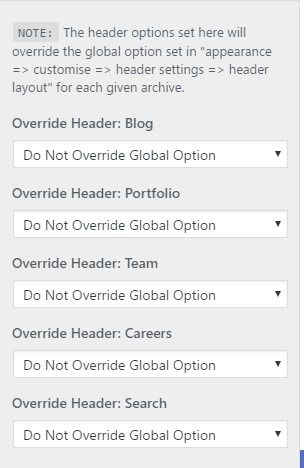 Header Overrides Now Available for Search, and Custom Post Archives - By popular demand, we have now added override controls for areas which, untill now, would only use the global header setting. To control which header style is used simply head to Header Settings > Archive Header Settings in the theme options and tweak each available override as you wish. New Target Controls - You can now set the target (for example if you want a link to open in a new window) for the footer and sub header buttons. These new fields can be found under each relevant button option within the theme options. Easy Digital Downloads Support Added - We have added basic integration of EDD, however these styles will be further developed within a future update. Variant - Form Blocks Form Override Added - Form blocks, which typically use Contact Form 7 for there forms by design, can now easily be overridden with your own form plugins shortcode should you wish to use an alternative form plugin. Variant - New Blog Layouts Added - We have expanded our blog layouts with even more choice! We have now added a stylish "Simple List + Sidebar" option. Variant + Visual Composer - Hide On Mobile Etc Fixed - You can now fully control which items are shown and visible on mobile/desktop etc via the included options, which up until now have not been working as they should. New Header Layouts Added - We have added a trio on nav styles to our already massive list of options. You will now find the new 'Overlay header with dark text & logo', 'Overlay header & top bar with dark text & logo' and 'Centered overlay header with dark text & logo' within the available header layouts in both the theme options and page override areas. Additional Header Override Added - You can now forgo the nav entirely with a page and simply use an in-page navigator instead. New Social Media Icons Added - To keep up with the ever-changing world of social platforms, we have update the list of available icons to included even more of your favourite social sites. Basic Sensei Plugin Support Added - We have added some basic support for the Sensei WP plugin, this will be expanded on in a future update. Variant - In Page Navigator Removed - This block has now been removed from Variant - so to use an in-page navigator please use the page overrides mentioned above. 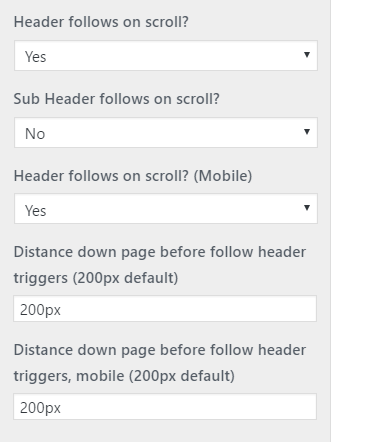 New Theme Option - Enable/Disable Header Cart Icon on mobile/desktop - You can now head to Appearance > Customize > Header Settings > Sub Header Settings to enable or disable the cart icon (if your using WooCommerce of course) on both mobile and desktop menus. New Theme Option - Choose Between Dropdown Filters and Horizontal Filters - You can now select an alternative filtering style for your filterable items such as blog feeds etc, simply head to Site Settings > Global Settings and choose your desired style. 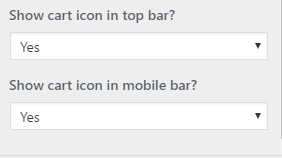 New Theme Option - Enable/Disable 1st Active Tab and Accordions - By default, tabs and accordions will show the 1st item in full upon page load - you can now disable this (to have the 1st item hidden/all accordions closed by default) via Site Settings > Global Settings in the theme options. 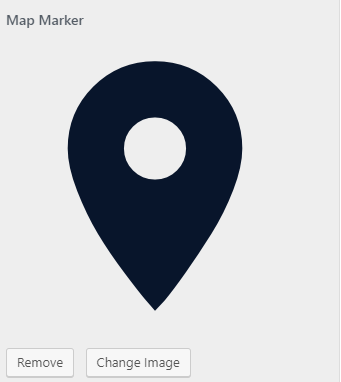 New Theme Option - Custom Map Markers - You can now upload your own custom map marker for use throughout your site! This new option can be found in the all new theme options area, Appearance > Customize > Site Settings > Maps. New Shop Layouts Added - In response to customer suggestions, we have added two new shop layouts you can choose from, Shop Standard + Sidebar and Shop Tiles + Sidebar, perfect for a more traditional shop home layout. New Feature - Top Level Menu Items can be clickable. If you have set your drop-downs to respond on hover (rather than on click) your top level menu items can now be clickable. Variant - New Block Added - We have added an all new Team Carousel block to variant, for even more flexibility for displaying your staff. Variant - Hide Feeds by Settings Posts Per Page to 0 - Now in variant, if you wish to hide a feeds content you can now set the number of posts per page in the feeds settings to 0. Variant - Features 5 Editing - The Features 5 block now provides a full WP WYSIWYG editor for simple content editing. Search Results Now Show The Featured Image - By popular demand we have implemented featured images into the search results. New Blog Layout Added - You can now use the magazine layout without the integrated CTA area! This can be selected via Appearance > Customize > Blog Settings > Blog Layout if you wish to use this new layout. Visual Composer - Timing Option Added to Client Carousel - The client carousel block now includes a timing option so you can slowdown/speedup things as you wish. Variant - New Background Colour Added to ALL Sections - You can now choose your primary colour (set via the theme options) as a section background colour within all applicable sections. Variant - New Text Alignment Options - All applicable sections can now justify the text if you wish, this can be done via the sections settings. Variant - New Blog Layout Added - We have added a new variation of the Magazine blog layout to the Variant post feed block which removes the CTA should you wish to not use it. Variant - Carousel Controls Added To Relevant Blocks - New controls which allow you to tweak the timing etc have been added to the Blog, Team and Product Carousel blocks. 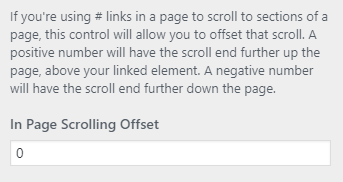 New Option - In Page Scroll Offset Control - We have now added a brilliant new option for those of you using in-page links, you can now control the scroll offset so you can set the scroll point with pin-point accuracy. This new option can be found under Site Settings > In Page Scrolling Settings in the themes options. 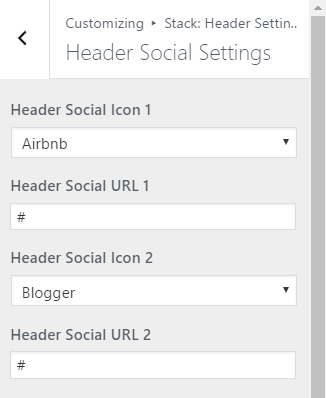 Header & Footer Social Icon Areas Updated - In response to our awesome users invaluable feedback, these areas can now show up to 10 icons each! New Gallery Formats Added - You can now pick from two new layouts for your media galleries, Stack Masonry and Stack Lightbox. New Background Image Options For Breadcrumbs/Title Areas - You can now setup a background image for the breadcrumb area for team, career, blog and portfolio archives, as well as single pages. Variant + Visual Composer - Comments Block Added - We have added a very useful block for those of you who wish to allow user comments on your page builder based based pages. This new block can be found under the 'Text' block filter within Variant as well as within the usual block array when adding content to your VC pages. New Max Width Theme Options - You can now control the global maximum width for your content. To do this simply head to Appearance > Customize > Site Settings and tweak as you wish. Traditional Add To Card Option Added - We have also added a more traditional text based add-to-cart button, you can switch to this via Appearance > Customize > Shop Settings in your WP admin area. New Page Template Added - By popular demand, we have added a new traditional page template 'Page left Sidebar'. You will find this available under Page Templates when creating/editing pages. New Footer Styles Added - You can now choose from primary-bg footers (so they use your primary bg colour as the background) from the theme options and page overrides. New Instagram Widget Settings - You can now specify the number of images and number of columns used within the Instagram Widget. Variant - New Local Video Block Added - You can now use locally hosted videos with the newly add Video Cover 7 block. Parallax Now Works on Mobile - We have re-tweaked the parallax engine and its now working well on mobiles! Variant - New blocks added - We have now added a Blog Comments block, and 3 new fullwidth elements (fullwidth slider, fullwidth post carousel and fullwidth ken burns slider). 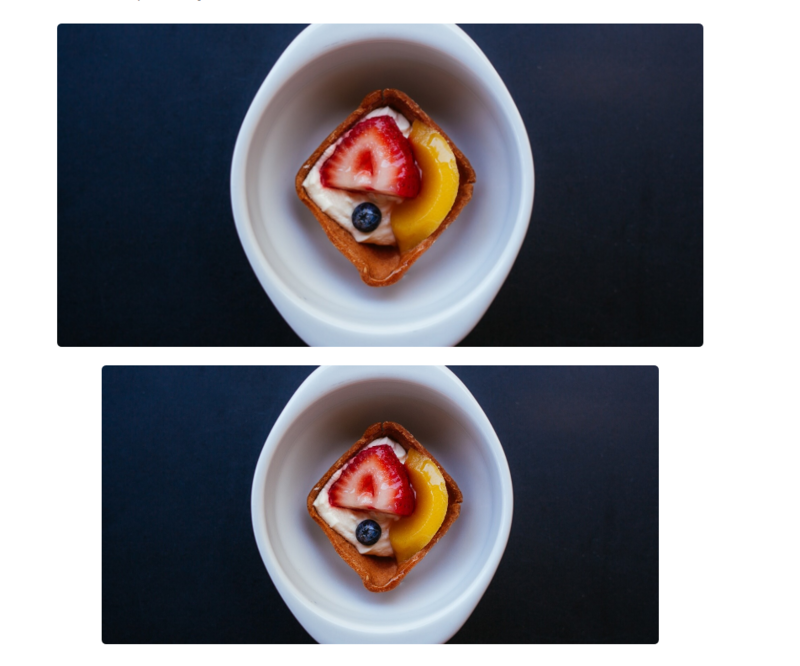 Variant - New Fullwidth Blocks added - You will now find fullwidth versions of the Ken Burns Slider, the Regular Slider as well as the blog carousel within the huge range of available Variant Blocks. Variant - Comment Block Moved - You will now find the comments block within the 'Blog' category within Variant. This small release is a hotfix to remedy a couple of small issues relating to the Typed Text and Mobile Backgrounds. Careers Post Type Slug is Now Changable - By popular demand we have added the option to change the 'careers' post type slug. To do this, head to Settings > Stack Post Type Options and tweak as you wish. Dont forget to then head to Settings > Permalinks and re-save your permalinks to ensure the changes take effect fully. Counter added to Header Cart Icon - We have added a neat AJAX cart counter to the cart. This is enable automatically so simply update to this version to benefit from this nifty new feature. Logo Alt Text Option Now Available - Within the logo settings you will now find a new option to customize the alt text as you wish. Mega Menu Top Level Items can Now be a Link - When using the hover dropdown option, you can now have the top level menu items (which untill now has been a trigger for the mega menu dropdown) can now be a custom link. Video Posts Now Support Vimeo - The neat overlay effect you see here http://stack.tommusdemos.wpengine.com/a-video-post/ now supports vimeo videos! Simply paste your video url into a post with the video format selected and your featured image will be overlayed for you automatically. Header Social Icons now show Title Text - For those keen on SEO, the social links now show a html title, perfect for those search engines. This was a small update which fixes a small bug with the parallax script and one of the blog layouts. Careers Post Type Visual Composer Template Override Added - For those wishing to enable/disable the blank Visual Composer template (so you can freely use VC to craft your own creations for single Career items) you will now find a new override option under Visual Composer Settings in your theme options. Careers Feed Can now Display a Single Category - Similar to the category selector available in the blog/portfolio feeds etc, you can now specify a category of career items to display when using the Career feed block. Cache Busting Improvements - As browsers and WP plugins caching has becomre more aggressive, refreshing assets can be a pain when updating/making changes. We have now added the theme version number to all theme resources in an aim to reduce the number of full browser caches clears needed.